Barnegat Light Plumbing & Builders is Long Island Beach's local team of boiler and radiant heating system experts. Our highly skilled boiler technicians and installers can take care of any service need or issue you may have. Call us today to schedule the boiler repair, pre-season maintenance, replacement, or new installation you need. Let your local boiler and radiant heating specialists take care of your boiler issues. 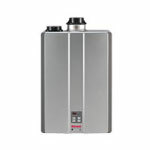 click the logo above to learn more about the boilers we carry. We've all been there, its the middle of winter and your boiler stops working. Barnegat Light Plumbing & Builders is here to get your boiler running like new again! Call our team today to schedule the repair visit you need! The boiler experts at Barnegat Light Plumbing & Builders are ready to tackle any boiler repair you may need! If your repair needs are too excessive it might be time to replace your boiler! Barnegat Light Plumbing & Builders know that you rely on your boiler to keep your home warm all winter. That is why we have pre-season and preventative maintenance plans to help protect your investment in home comfort. 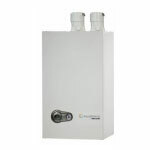 Boiler systems can run for years and years if they are installed properly and maintained correctly. Barnegat Light Plumbing & Builders' preventative boiler maintenance plans ensure that your home will be warmed by your boiler and radiant for years to come. 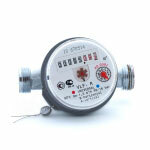 After years of ware-and-tear on your boiler and radiant system repairs will stop being as effective. That might be a sign that you should replace your older system. 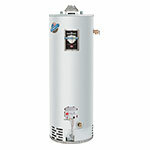 Barnegat Light Plumbing & Builders carries a wide array of high-efficiency boiler from Weil-McLain. Our team of boiler technicians and installers are ready to design a boiler and radiant system to meet the needs of your lifestyle and home. Call us today to get your estimate on a new boiler! Barnegat Light Plumbing & Builders is committed to providing homeowners with the luxury they are looking for, our products supply cozy and comfortable warmth.